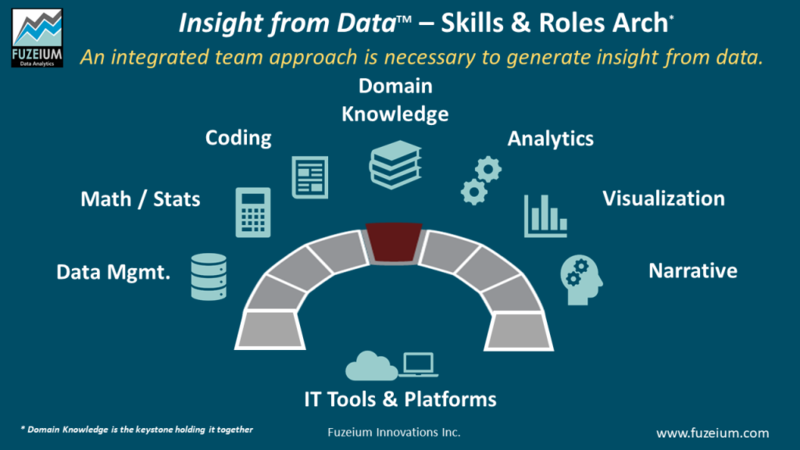 Generating insight from data takes an assembly of skills and roles–often in the form of an integrated team. We display the main areas as an arch. The red keystone, which is the business domain knowledge, holds the arch together. The left side of the arch is more technical; the right side less so. The narrative is very important in terms of explaining how the analysis of data has led to insight.